ADVENTURE #1 | College is…….. I shall start this new idea with my first adventure with my bestest friends of course. We all took a trip down to Palm Desert, and decided to go karaoking for our first time ever! if that is not adventure idk what is! 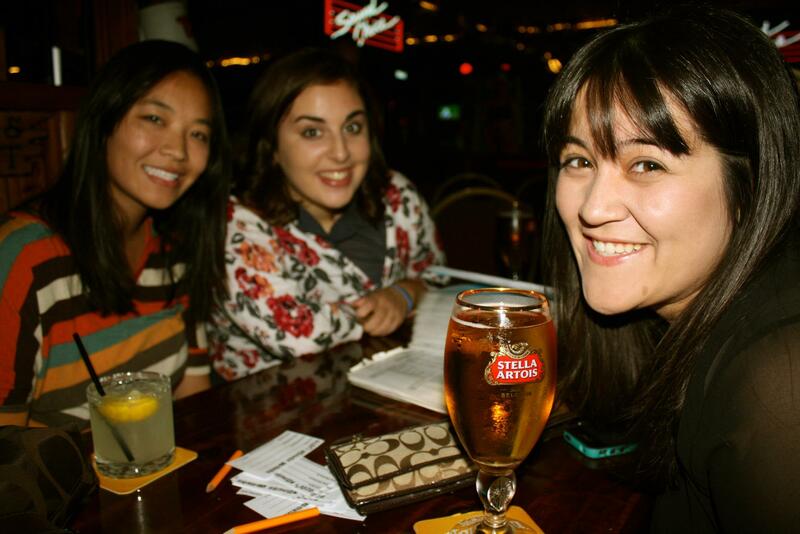 This entry was posted in Uncategorized and tagged adventure, karaoking, palm desert. Bookmark the permalink. After looking over a handful of the blog articles on your blog, I really appreciate your way of writing a blog. I bookmarked it to my bookmark webpage list and will be checking back soon. Take a look at my web site too and tell me what you think. You are so awesome! I do not think I have read through a single thing like this before. So wonderful to find someone with a few original thoughts on this topic. Really.. thanks for starting this up. This web site is something that is needed on the web, someone with a bit of originality! Oh my goodness! Awesome article dude! Thank you so much, However I am going through troubles with your RSS. I don’t know why I am unable to subscribe to it. Is there anyone else having identical RSS problems? Anyone who knows the answer can you kindly respond? Thanks!! Good post. I learn something totally new and challenging on blogs I stumbleupon on a daily basis. It will always be interesting to read articles from other authors and practice a little something from their sites. I blog frequently and I truly appreciate your content. This article has truly peaked my interest. I will bookmark your site and keep checking for new details about once per week. I opted in for your Feed too. You are so interesting! I do not think I’ve truly read a single thing like this before. So good to find someone with unique thoughts on this topic. Really.. thank you for starting this up. This web site is one thing that is needed on the internet, someone with some originality! Oh my goodness! Amazing article dude! Thank you so much, However I am experiencing troubles with your RSS. I don’t know why I am unable to join it. Is there anybody else having identical RSS issues? Anyone that knows the solution will you kindly respond? Thanks!! A motivating discussion is definitely worth comment. I think that you need to write more on this subject matter, it may not be a taboo matter but generally people do not speak about these topics. To the next! Kind regards!! May I simply say what a relief to find somebody that really understands what they’re talking about on the net. You certainly know how to bring a problem to light and make it important. More people ought to look at this and understand this side of the story. I was surprised that you aren’t more popular since you surely possess the gift. After exploring a number of the articles on your web page, I really appreciate your technique of blogging. I saved as a favorite it to my bookmark webpage list and will be checking back in the near future. Please visit my website too and tell me what you think.